PASTE FILLER Super fine finish comparable with oil based fillers. Ready mixed filler for interior and exterior finishing work on walls and ceilings OSCAR is a water based filler giving a finish identical to oil based products. Substrates prepared with OSCAR are ready for painting with top quality paint – matt silk or gloss. Because of its high resin content, OSCAR, once completely dry, will be relatively waterproof and save on paint. This formulation also makes it suitable for wet rooms. 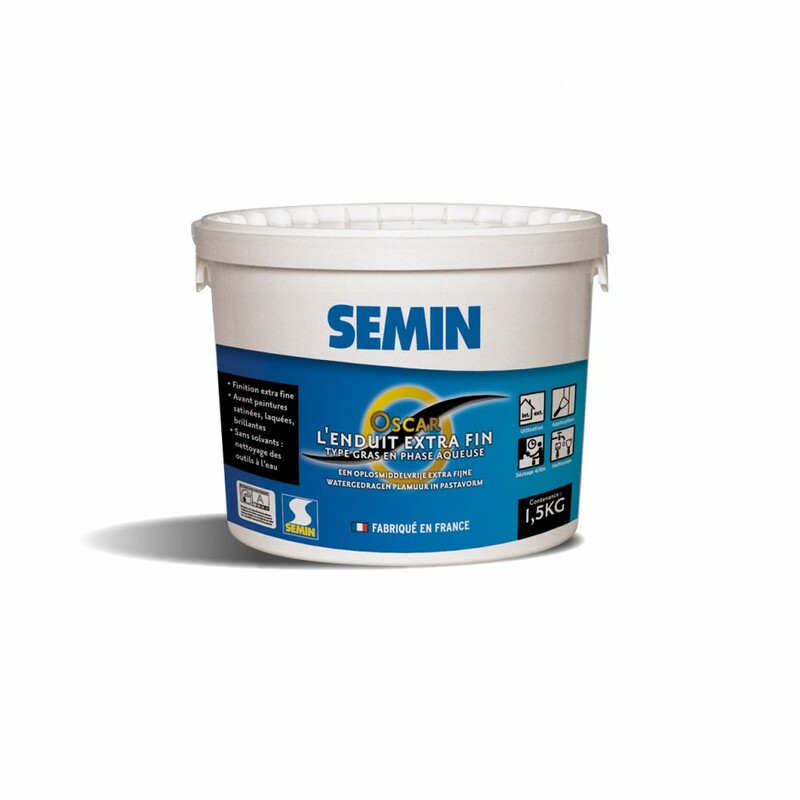 Resin emulsion containing calcium carbonate, rheological agent and various additives. 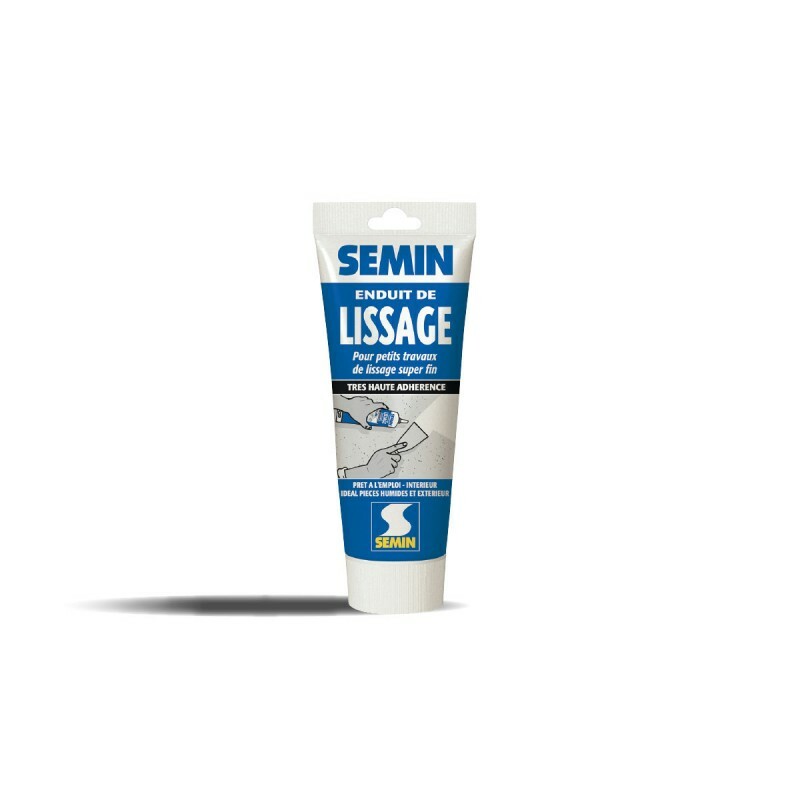 The resulting paste is white. ANVAR (National Research Improvement Agency) Contract N° A 89020142 AE. Tubs of 1.5 – 5 and 15 kg on film-wrapped pallet. 6 months in unopened original packing protected from cold and extreme heat. DO NOT APPLY WHEN TEMPERATURES ARE BELOW 5°C. MUST BE COVERED FOR EXTERIOR USE. DO NOT APPLY TO OLD HEAVY COVERING PLASTICS. DO NOT ADD ANTIFREEZE, OIL OR SOLVENT. Indoor substrates must be in conformity with DTU 59.1, i.e. they must be clean, dry, hard, free of dust and of any traces of release agent. If the substrates are too irregular, first apply a finishing coating. Smooth, brush and dust concrete, panels and plaster blocks. Wash, rinse and prime old paint. Application is manual using a float or a painter’s knife. The maximum thickness will be 1 mm per coat. Smooth and sand if necessary before OSCAR has entirely set. From 4 to 8 hours depending on the thickness, the substrate and the ambient conditions. AFNOR classification: NFT 36.005. Family IV – Class 4b.